Aldi To Open At Granville and Broadway Reviewed by Edgeville Buzz on June 3, 2009 . Despite the protests of some Edgewater residents, a new Aldi store will open in The Clarovista condo building this summer. 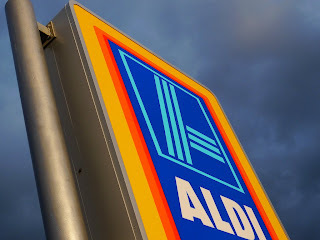 Aldi will take up about half of the ground floor retail space in the building, while developers are reportedly looking for another retail business or restaurant to occupy the remaining space. The Clarovista is located just north of the the 48th/49th Ward dividing line, so naturally the 49th Ward’s media friendly Alderman Joe Moore had to comment on the situation. Moore said that he “would love to have a Trader Joe’s in the Ward” but that Aldi is “working well” with the Alderman’s office. Here’s a link to another story about the opening. Any thoughts on what should occupy the rest of the available space on the ground floor of the Clarovista?